This antique rustic kitchen chopping block is typically French. 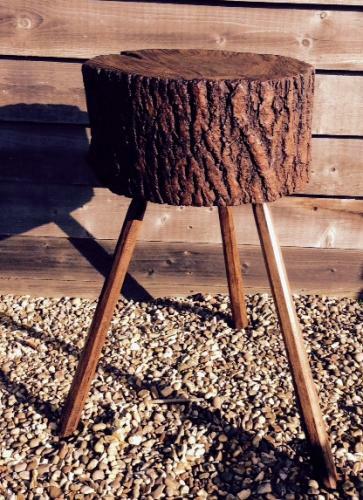 The legs are Oak, the top is a hardwood and has been sanded down to create a smoother surface. Would make a lovely table for a side lamp etc.